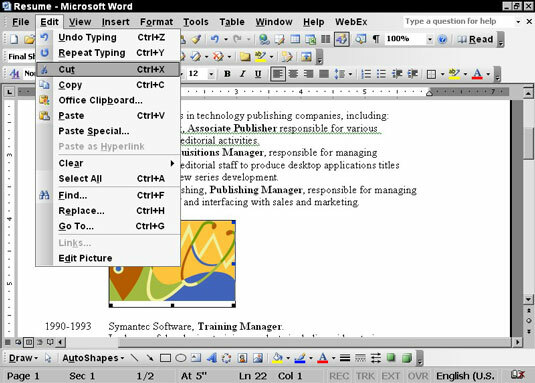 You can cut, copy, and paste in Windows XP to move items or copies of items to other locations within a file, or to a different file or application. 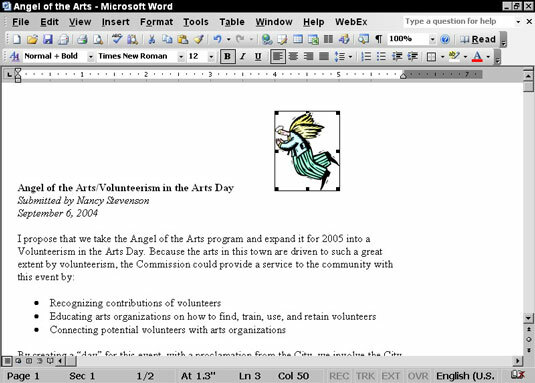 Using the cut, copy, and paste features allows you to organize the items within your files quicker and easier, and Windows XP makes cutting, copying, and pasting easy by giving you a few simple steps to get the job done. 1Select the text or object you want to work with. Do so by clicking and dragging across the text that you want to work with or by clicking an object to select it. 2Copy or Cut the item. If you want to copy the item so that it remains in its current location, choose Edit→Copy, which makes a copy of the item to place elsewhere. Or you can choose Edit→Cut to remove the selected item from its present location and place it elsewhere. Move your cursor to the location (in the current document, another document, or another application) where you want to place the item; choosing Edit→Paste places the item at that location.